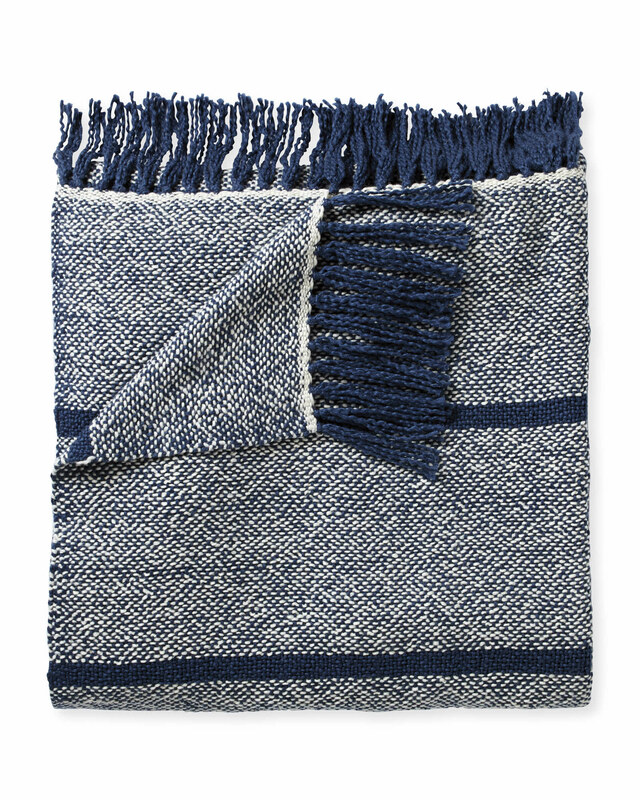 Oceana Cotton ThrowOceana Cotton Throw, Navy alt="Oceana Cotton Throw, Navy"
Print The addition of a beautiful textile may be the easiest way to spruce up a room. 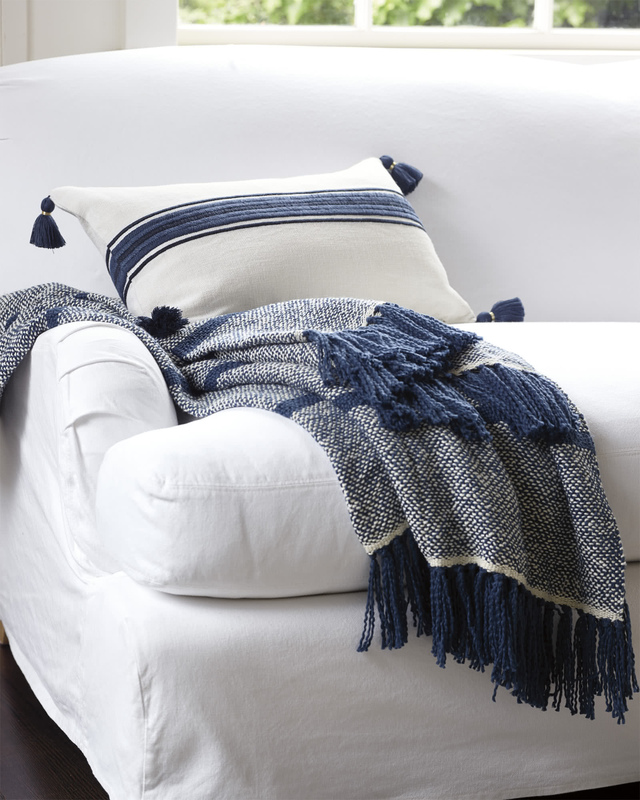 This pairing of soft cotton and neutral tones is a versatile addition to your mix. Punch it up with pillows in a contrast color (lively coral, beachy whites), or create a monochromatic moment with varying shades for a rich yet harmonious look.